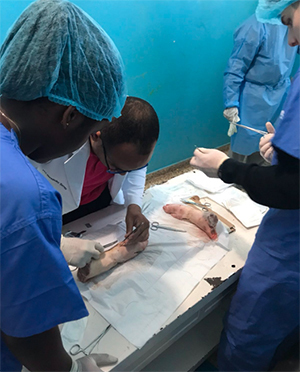 Four Skinners’ Academy students travelled thousands of miles earlier this year to get a glimpse of life as a medical professional – including seeing children born up close and sewing up a pig’s foot. 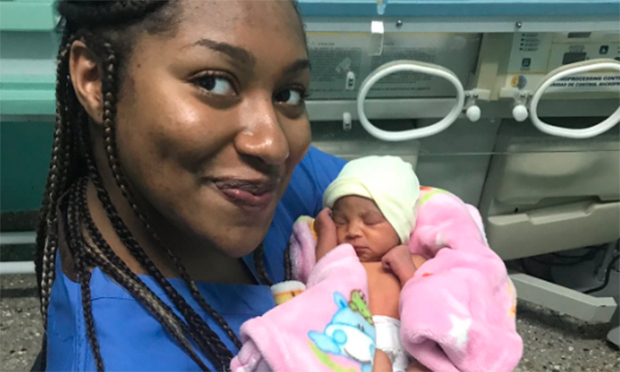 Budding midwives Tajai Brown and Bame Malomar and doctors-in-waiting Baran Komur and Evangeline Appiah-Nuamah swapped Hackney for the Caribbean in May to get work experience in a hospital. The quartet travelled to La Romana in the Dominican Republic as part of a programme organised by Gap Medics, a company that specialises in providing placements in the medical field to youngsters aged 16 and over. Tajai and Bame were mentored by a midwife who gave them a chance to sit in on both natural births and Caesarean sections – sparing them none of the grisly details. A spokesperson for Skinners’ Academy said: “The staff at the hospital were incredibly kind and worked very hard to ensure that students were safe but very much involved in the day to day life of a midwife. “Bame and Tajai were able to stand in theatre with the expectant mothers during the birthing process. “They now know for sure they are not squeamish – making midwifery a viable career for them – and were able to watch and ask questions throughout the procedure. Meanwhile, Baran and Evangeline were being introduced to the hectic life of a surgeon. Each was given a top local doctor to shadow, and by the third day they were already slicing up pig’s feet to practice stitching up wounds. Pig skin is often used for medical training, as it is very similar to human skin. The surgeons were impressed with the students’ needle skills – one apparently said it took him years to learn what the students perfected in just an hour. The trip wasn’t all work no play. 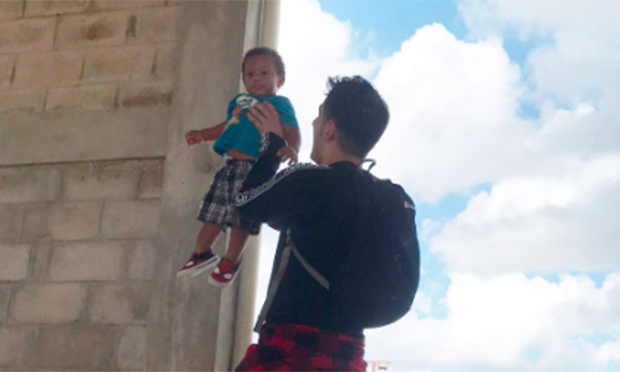 After work, the youngsters took part in activities, including a visit to the Ninos de Cristos Orphanage. Having stopping off on the way to buy toys for the children, they spent an afternoon there playing puzzles, basketball, dominoes and racing cars. The foursome also had a chance to do some off-roading, driving dune buggies through the local sugar cane fields – and taking in a couple of tasters to keep their energy up.